Good morning from a cool but sunny Hastings morning. This morning Michelle W. from The Daily Post has asked us for our dinnertime photos. 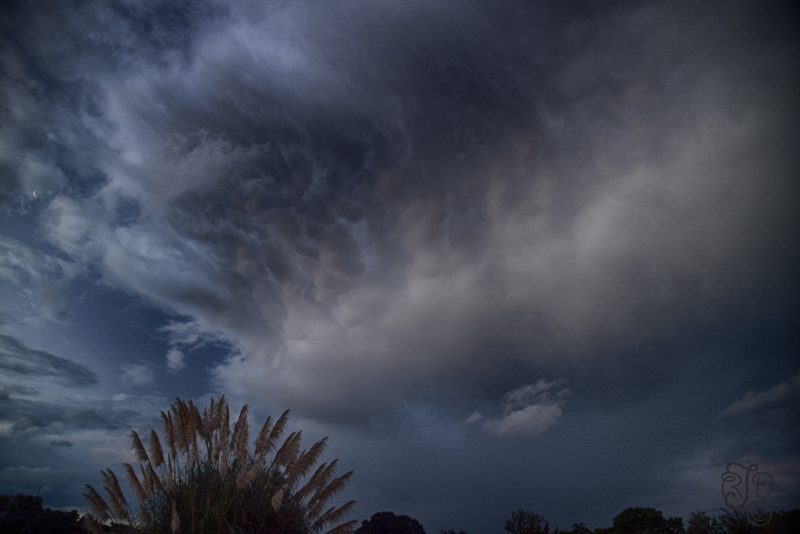 So first up is a photo of clouds around dinnertime the other night. My son had come home and showed me some of the photos he took on the way home. They were great so I had to go out and get my own. 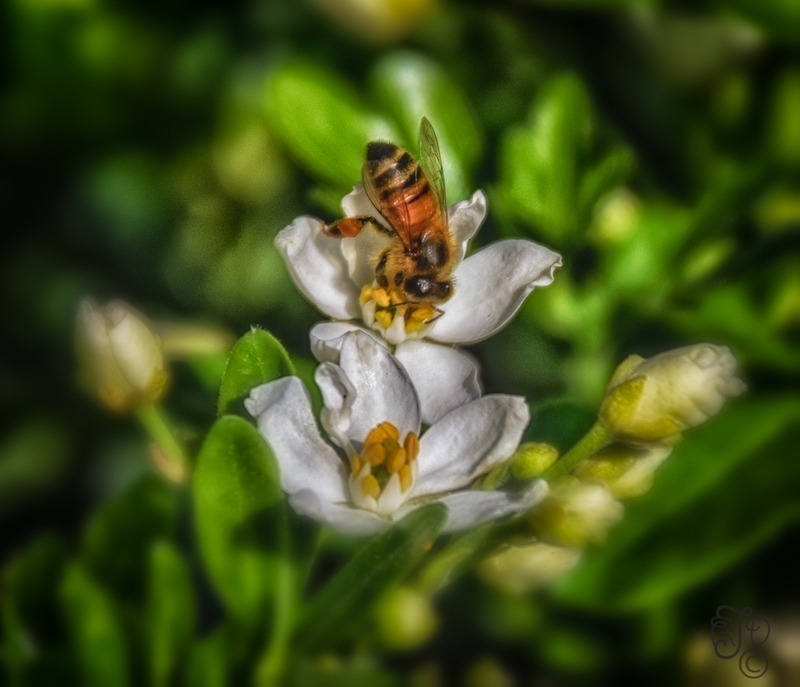 Another image from that time was used on my Wordless Wednesday post. Then it was dinnertime for the bees. 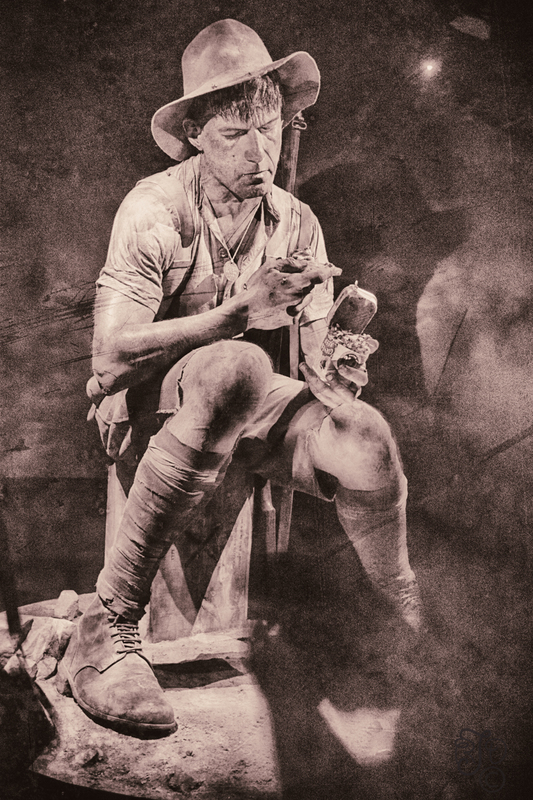 Finally on a sombre note here is a Weta Workshop over life sized model of an ANZAC (NZ) soldier eating dinner out of a can during the disasterous Gallipoli campaign during WWI. You can find out more about this exhibition at Te Papa museum here. We are leading up to ANZAC day here and in Australia so it is a time to reflect and give thanks to those who sacrificed their lives for our freedom. Wonderful. Each picture is just perfect. The clouds are beautiful and I love the bee. The soldier is lovely but it’s so sad. I love the variety as well as the shots, Raewyn. Stunning macro of the bee!